On Wednesday evening, IndyCar gave us the first really good look at the body kit designs that the series will use starting in 2018. 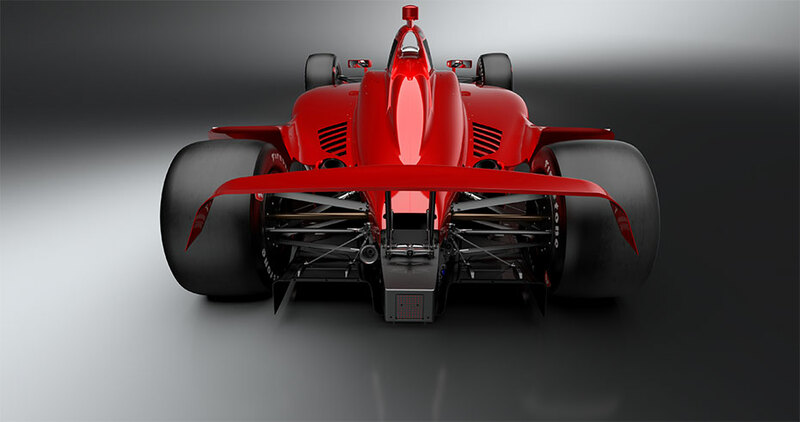 For the last several seasons, each of the two engine suppliers for IndyCar, Honda and Chevrolet, have designed their own aero body kit for the teams that use their engines. Starting in 2018, all teams, regardless of which engine they use, will use the same body kit. We got a tease a while back, but now we have detailed renders of what it should look like. Just as the current body kits, the one comes in two configurations. One kit is for road, street, and short oval track. The other is exclusively for running on super speedways, such as the Indianapolis Motor Speedway. 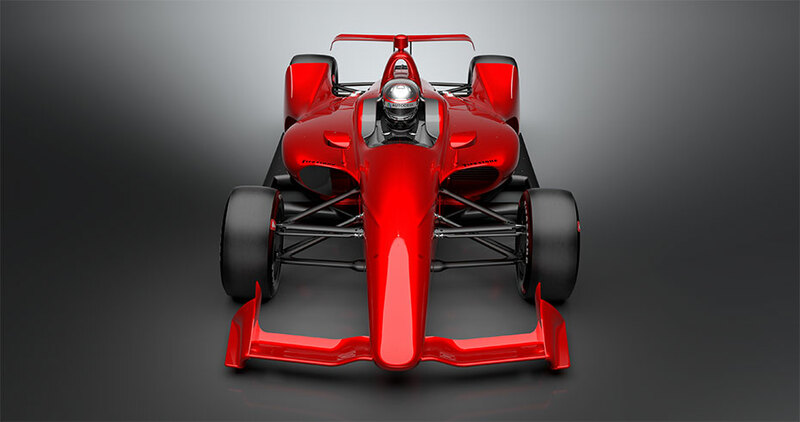 Before we get into the new body kit, we need to go back a few years to see how IndyCar came to this new universal design. We'll keep this as simple as possible, sticking only to car design, rather than the details of the whole IndyCar/Champ Car split and merger. No one like to think about that whole mess anymore. For the 2008 season, following the Indy Racing League and CART/Champ Car merger, the cars running in the unified series all used the same body kit. After the merger, the chassis and body kit were in need of a change. The 2008 kit and chassis was a hold-over from the pre-merger period and wasn't originally designed for street and road courses. Before the 2008 unification, Indy Racing League raced mostly on ovals, while Champ Cars ran a street- and road course-heavy schedule. Modifications were made, but it was time for a new car. 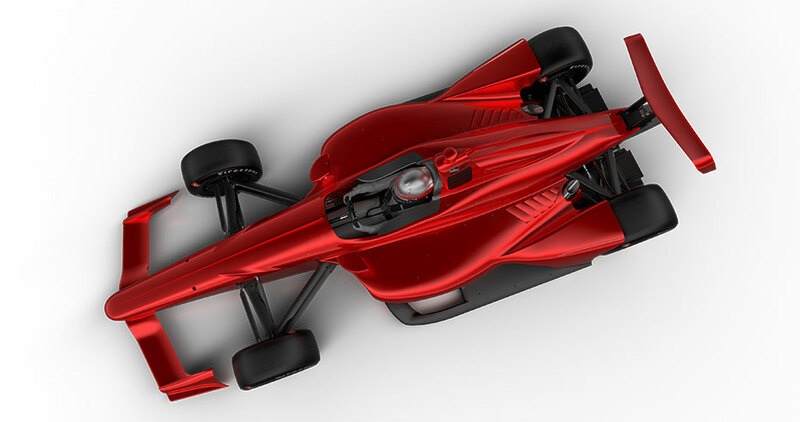 For the 2012 season, IndyCar introduced a new Dallara chassis that would be able to accommodate different body kits provided by each of the two engine suppliers. For various reasons, the body kit plan was pushed backed, and all the teams ran identical kits from 2012 to 2014. The most notable difference in the new body kit was the pods behind the rear tires. 2015 saw the introduction of unique body kits from Honda and Chevrolet. Out of the box, they were noticeably different in look and performance. Chevrolet had gotten it right, while the Hondas were lacking in speed, despite having what was said to be the better engine. Besides speed, Honda had another issue with its body kit. Pieces of it were easily broken off by contact. The stacked elements on the ends of the front wing seemed to break off with even the slightest bump. At the season opener in St. Petersburg (which the author was at), several of these elements broke off of a good number of the Hondas. The race was yellow flagged multiple times for debris on track. Some of the pieces flew off and cleared the catch fence. One hit a woman in the head while she was behind a grandstand in the concession area, which was several hundred feet from the track. By the following race, Honda reinforced the critical areas, but it was obvious that the design had to be changed. For the 2016 and now the 2017 seasons, Honda and Chevrolet were permitted to make changes to their body kits for both balance of performance and safety issues. First, Honda made significant changes for 2016, followed by Chevrolet delivering a package upgrade for 2017. The competing body kit plan was not going as it was envisioned. The designs were supposed to be frozen, for the most part. It wasn't meant to be a yearly development war. Which brings us to the here and now. 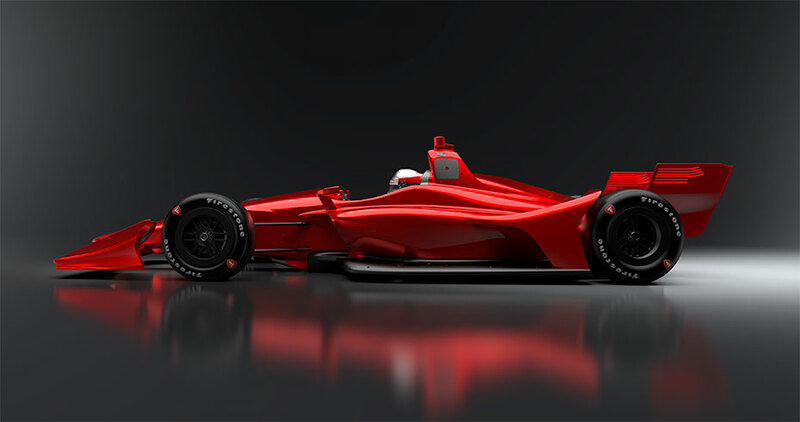 Starting in 2018, IndyCar will return to a universal body kit for all teams. 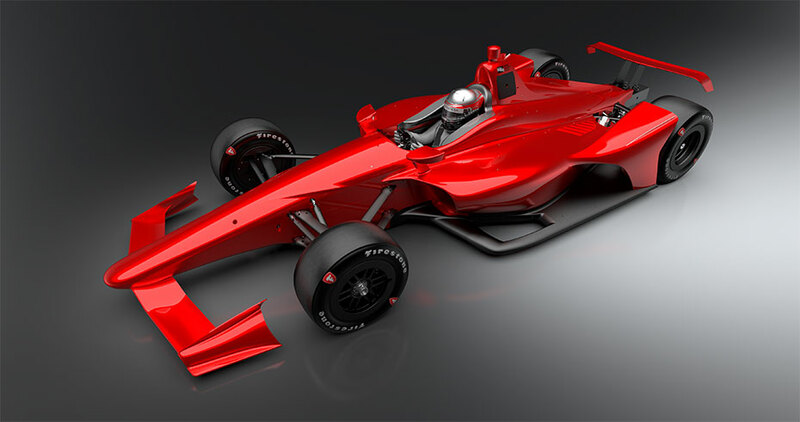 Frankly, it works better this way for IndyCar. 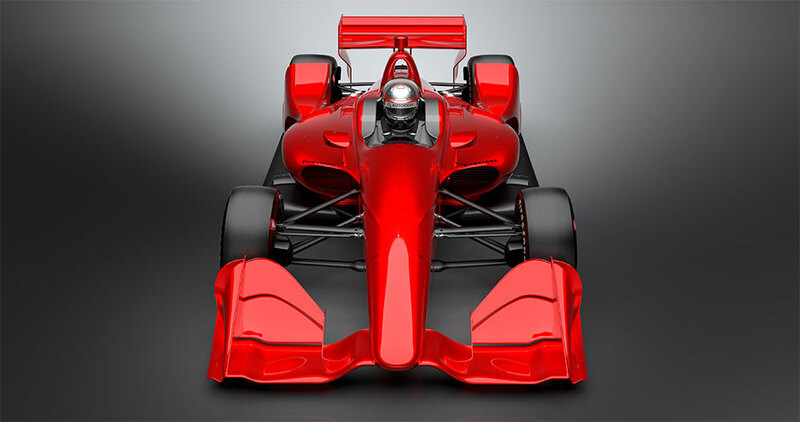 The teams aren't constructors like you get with Formula One, with endless cash reserves and resources. The universal body kit will let IndyCar get back to doing what it does best: racing. 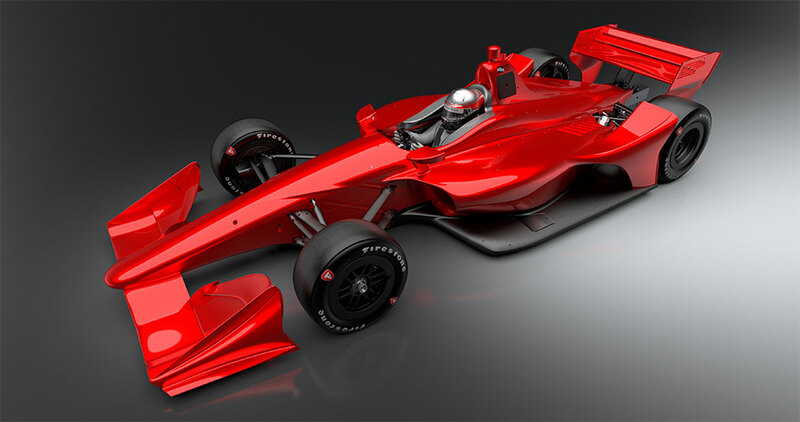 The new body kit is a big change for IndyCar. Gone are the bulky rear pods introduced in 2012. The overall design is clean, curvy, and flows from front to back effortlessly. You can almost envision how the air flows off the front wing, over and around the body, and out past the rear wing. The most striking of the two configurations is the totally trimmed-out super speedway kit, with its futuristic-looking minimalist front and rear wings. And the cut-out in the floor next to the driver isn't just for show. 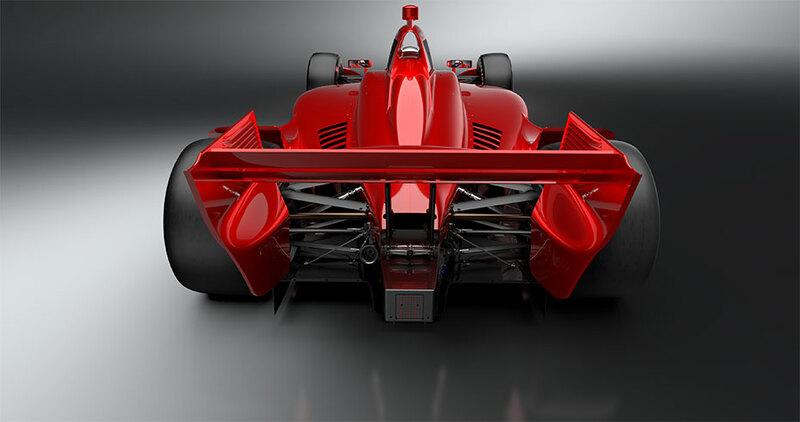 That is part of the aerodynamic magic that will help stick the car to track while doing 230 mph on a super speedway. Look carefully at the buttresses that extend from the side pods to in front of the rear wheels. They create a giant channel for airflow from the top of the floor and out the back while avoiding the very un-aerodynamic rear wheels. That channel of air provides tons of downforce, and looks amazing while doing it. 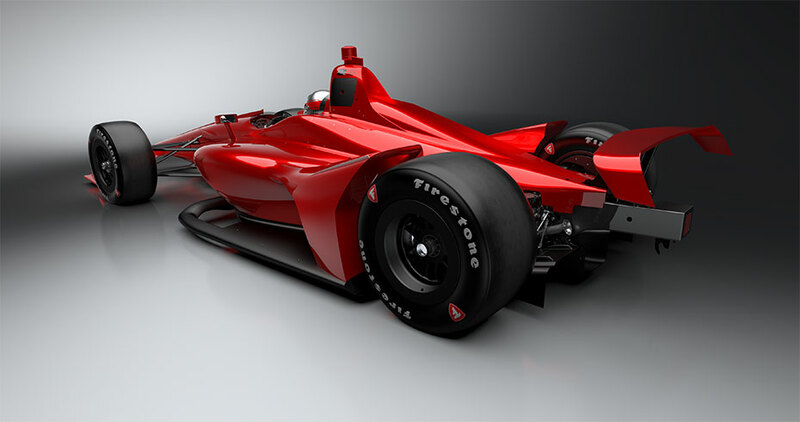 IndyCar expects to start testing the two configurations this summer. Until then, we'll continue to drool over these renders. We can't wait to see how this beauty looks in the physical world.